Facebook is already the social media site with the most users and where people spend the most time. They are in the process of rolling out a feature to entice 2 billion users to spend even more time on their site via the “Watch” tab. Watch, not to be confused with an actual wrist watch, because the author 100% did not do that when they heard the words. 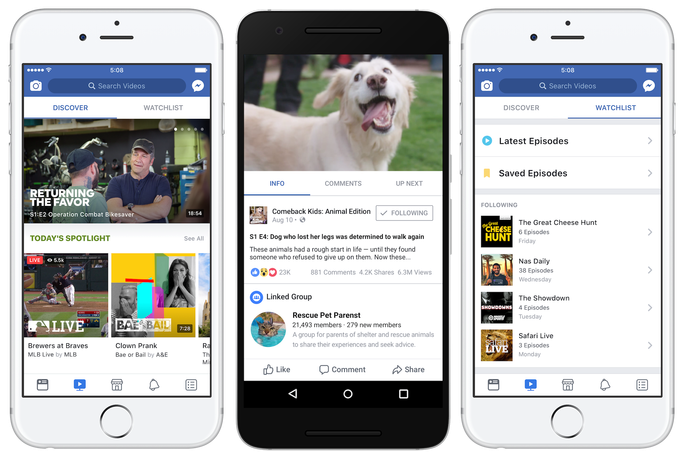 Facebook Watch, will be a tab on Facebook that contains “a new home for original video content produced exclusively for it by partners,” according to Techcrunch. Don’t feel left out if you don’t have this feature yet. As of August 10, only a small group of users have it. Additionally, if you’ve ever wanted to write a TV show, it seems to be a strong seller’s market with Netflix, Amazon, Hulu, HBO, Apple and now Facebook all competing to make original content.